This is totally one of the cutest things I've ever read. I just... I just ship them so hard! I want them be back together! Spoiler! 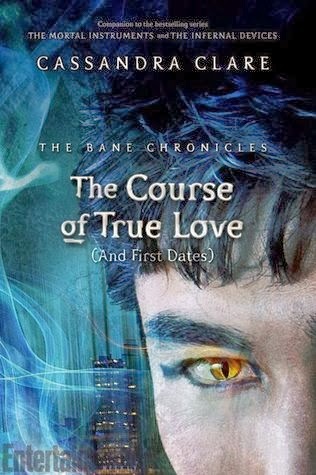 So this is basically about Magnus and Alec's first date. And I just laughed so hard and smiled like an idiot throughout the book. It's so uncharacteristically adorable and cute and hilarious. It's like we're rewinding back to the good times. Where everything isn't about to go the hell. You have no idea how I miss those times. Magnus's wit is pretty awesome in this book. It's not everyday that a warlock finds himself going out on a date with a Shadowhunter that has deep blue eyes and black hair *cough *cough. And Magnus still has a tendancy to be equally sarcastic and fun at the same time (oh and make Alec blush). Jeez, this date is endless. I really wish Cassie will write some more of their dates because I have a feeling they're just going to get more awesome.